Who can blame you for being angry! We all make sacrifices for our pets, but I know this can be a step (or several) too far. The first question I have to ask is if there have been any changes in your household recently? Longer working hours, a new pet, a move… Without more details it would be difficult to determine, but two possibilities are boredom or separation anxiety. There is one way for you to get a better sense which one it is, and that is by setting up a nanny cam in the area that seems to bear the brunt of the most destruction. 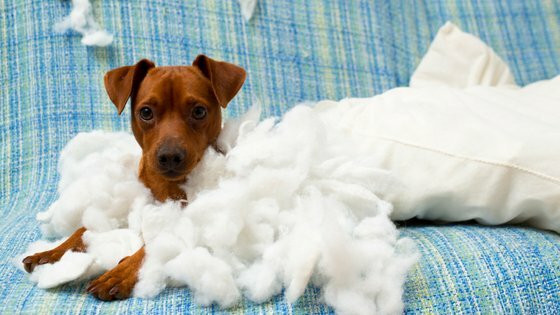 If things start to go downhill fairly soon after you leave the house, it’s safe to assume the cause is separation anxiety. 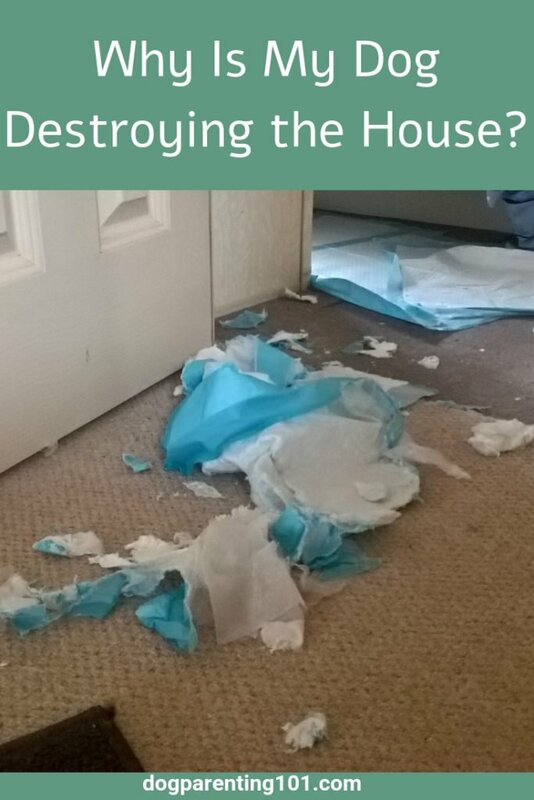 If, however, your dog seems pretty cool and relaxed about you being gone, takes a nap, hangs out and only later starts re-decorating, it’s probably boredom. Either way there are things you can do to help. If it is boredom and your dog is alone for many hours each day, hire a dog walker to take him out, enrol him in doggy daycare, or have a friend or neighbor help out when possible. If it is a result of separation anxiety, while there are certainly ways to help, the process is too involved to go into in this Q&A. Just know help is available.